As promised, SMKA's Arts & Craft video series presented by EARMILK returns with its second installment. For those unfamiliar with the project, the Arts & Craft series is a unique audio and visual experience in which visual artists create original works of art inspired by the music of Aleon Craft and Atlanta-based creative collective SMKA. With music arranged and produced by SMKA and video produced by editorial photographer Dustin Chambers, each installment in the monthly series will include a new song as well as footage documenting each artists' creative process. The twelve month series will include a live gallery show in Atlanta in 2013. Following last month's inaugural installment, the September edition of Arts & Craft showcases the work of Atlanta-based artist (by way of Palm Beach, FL) Ash Lethal who's known for drawing from an "inspirational from an inspiration platform of music, comic, childhood, and nightmares." 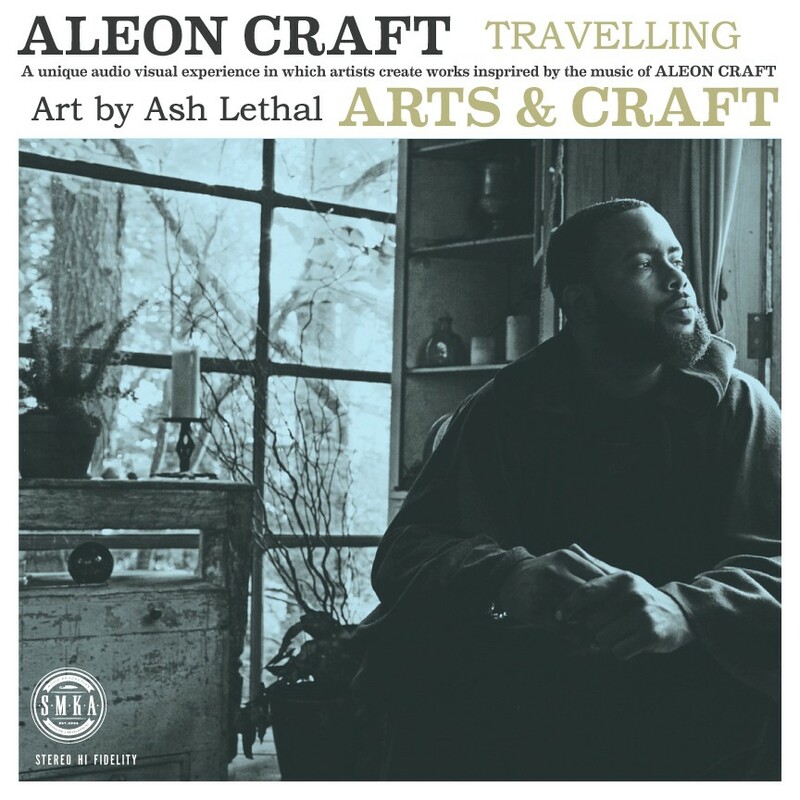 For this particular occasion Aleon Craft's new SMKA produced record "Travelling" acts as the main source of inspiration for Ash Lethal as she brings the music of Aleon Craft and SMKA to life on canvas. Check out the latest installment above and stay tuned for Part 3 in the Arts & Craft series which will be premiered here on EARMILK next month. If you are an artist interested in participating in the Arts & Craft series, contact smkaproductions@gmail.com for more information.